Danica is a maternal sister to our Princess cow. Her sire is Sanmar Pharao, a bull we have been using successfully on heifers. Her first calf, Damaris, is by our Eclipse, and she is in our heifer development pen. This winter Danica gave us a polled bull calf from Bar 5 El Toro, outcross polled genetics by way of South Africa. Danica has great depth of pedigree which includes proven sires Arnold’s Image & Gidsco Appollo as well as going back to Siegfried , a bull we think a lot of, top and bottom. 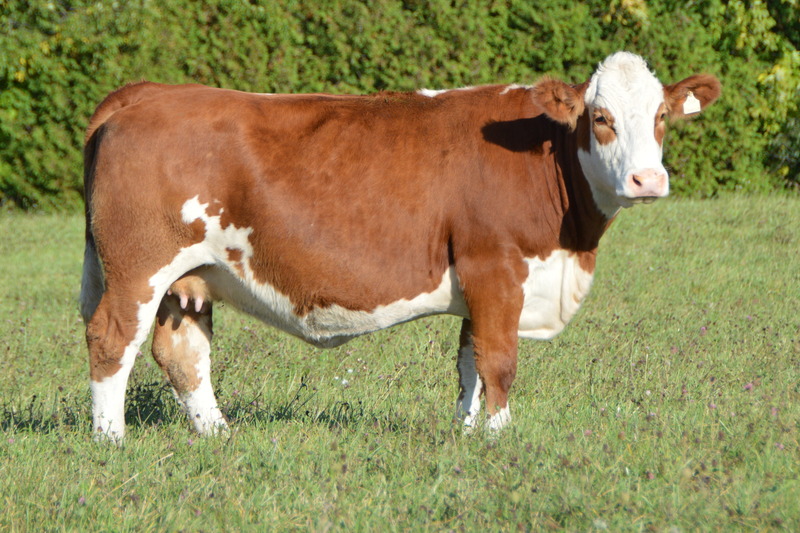 Danica is just getting started here a Dora Lee, a young cow we feel has great potential.